Double check that you have filled all the fields with the correct information. WE CLOSE BUSINESS WITH THE REFERRED CLIENT. 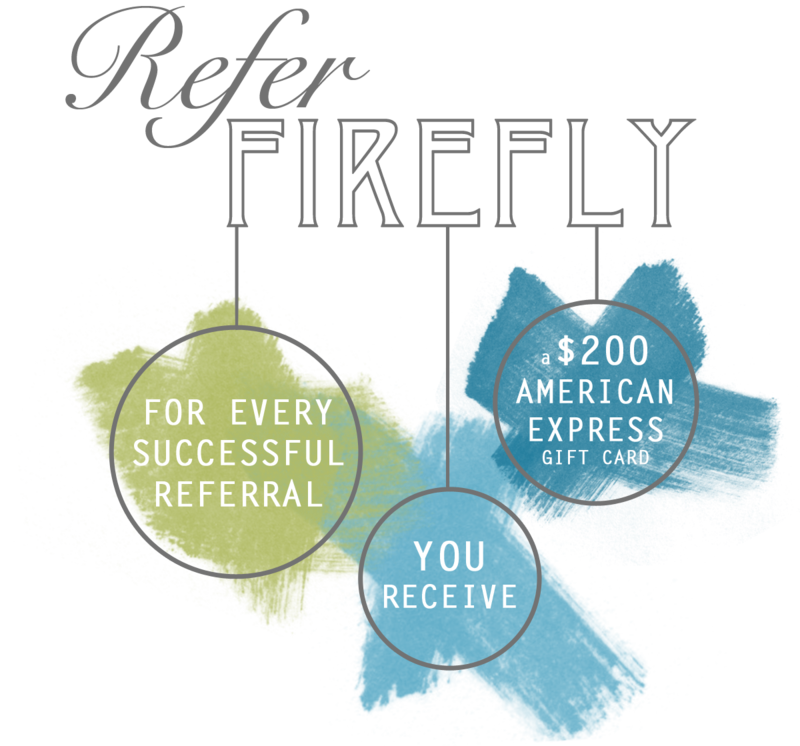 Once the prospective client closes business with Firefly Technology, you are eligible to receive your reward. We will mail you a $200 American Express gift card to the address provided in the form below. We will mail your gift card here! Firefly strives to be a “one stop shop” for the information technology needs of small businesses. Whether your business is a small company with only a few computers, or a company with numerous servers, applications, and other technology related needs, we have the knowledge and expertise to relieve the headaches commonly associated these items. Every business owner knows that the choice of an IT partner is of utmost importance and can directly impact the success or failure of a business’s core operations. Copyright © 2014 Firefly Technology LLC. All rights reserved.